This is a completely customized wedding cake topper ordered by one of our customers. 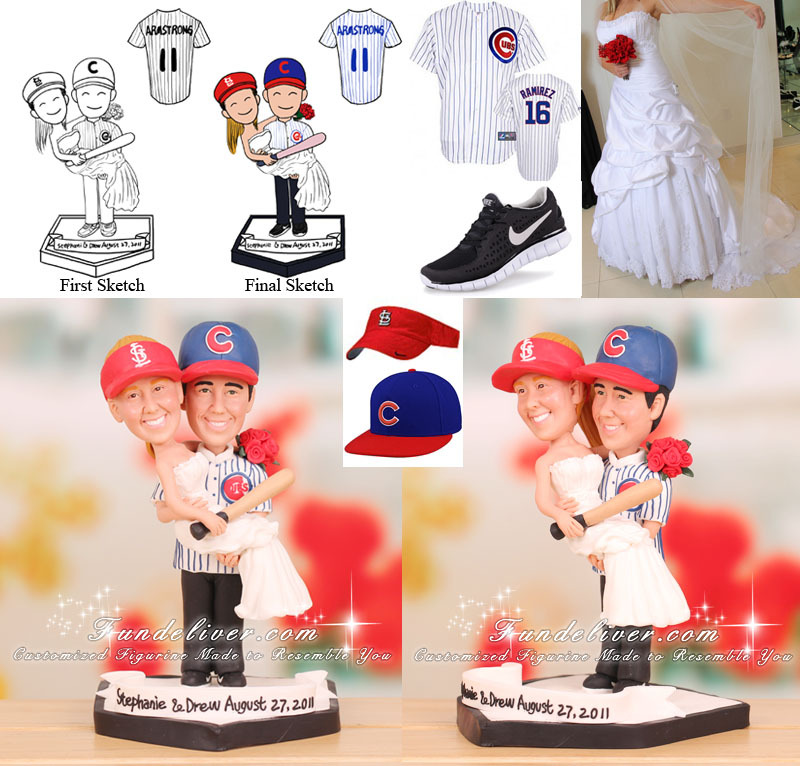 The couple loves this Cards/Cubs cake topper. They would like to do a similar cake topper but with a few changes. They would like the bride to be wearing a red St Louis Cardinals visor and the groom to be wearing a blue Chicago Cubs hat and white Cubs jersey. The name on the back of groom's jersey reads ARMSTRONG 11. They would like to keep the pose the same as the groom holding the bride in his arms and the bride holding flowers & a bat but change the flowers to red roses. 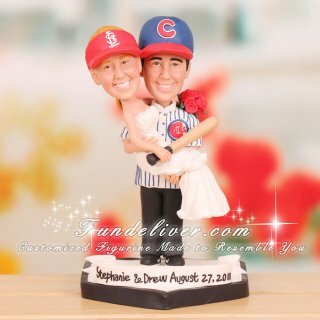 Also they would like bride and groom figurine to be standing on home plate with the banner reading “Stephani & Drew August 27, 2011”.